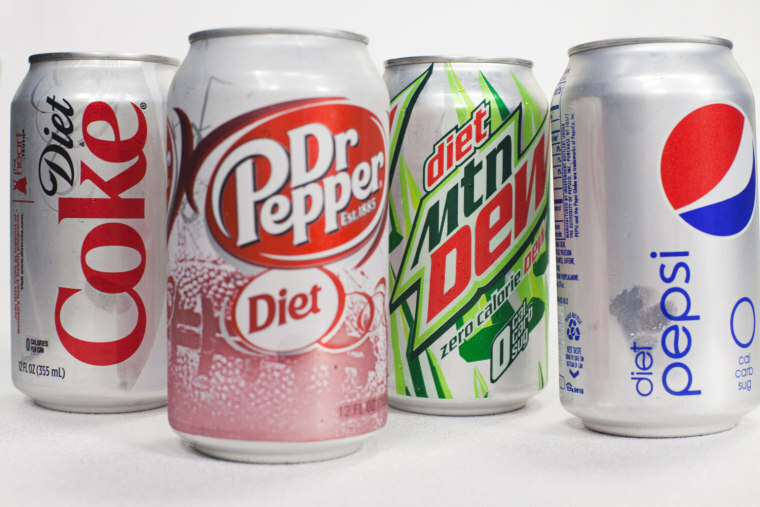 Don't depend on diet soda to help you lose weight. A new study shows that overweight and obese people who drink diet beverages consume more calories from food than heavy people who consume sugary drinks, according to a new Johns Hopkins study. They found that about one in five overweight or obese American adults regularly drinks diet beverages -- that includes soda and low-calorie juices, teas and the like -- which is about twice the amount that healthy-weight adults are drinking. “On the one hand, that’s encouraging. People are being told if you need to cut calories from your diet, discretionary beverages are a great place to start,” Bleich says.